There is something to be said about the beauty in simplicity. 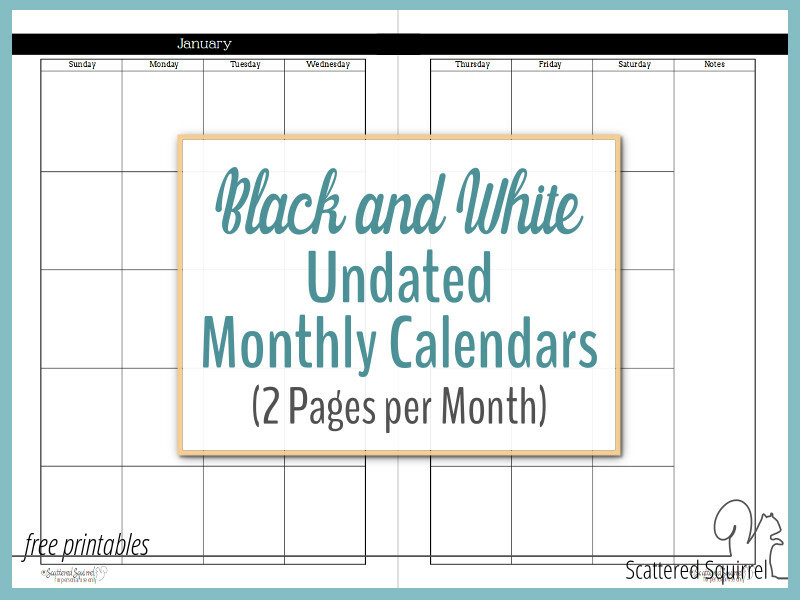 Black and white make a striking combo, and now that combo is coming to the printables. I’m slowly converting existing printables over to black and white versions for those who would like them. 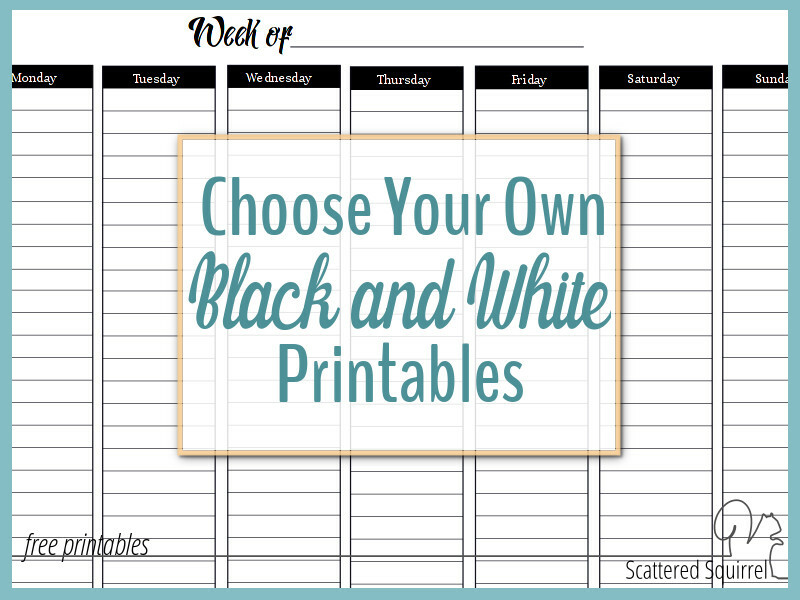 Each week I’ll be sharing a new group of these black and white printables on the blog and you’ll be able to find all the posts right here on this page. 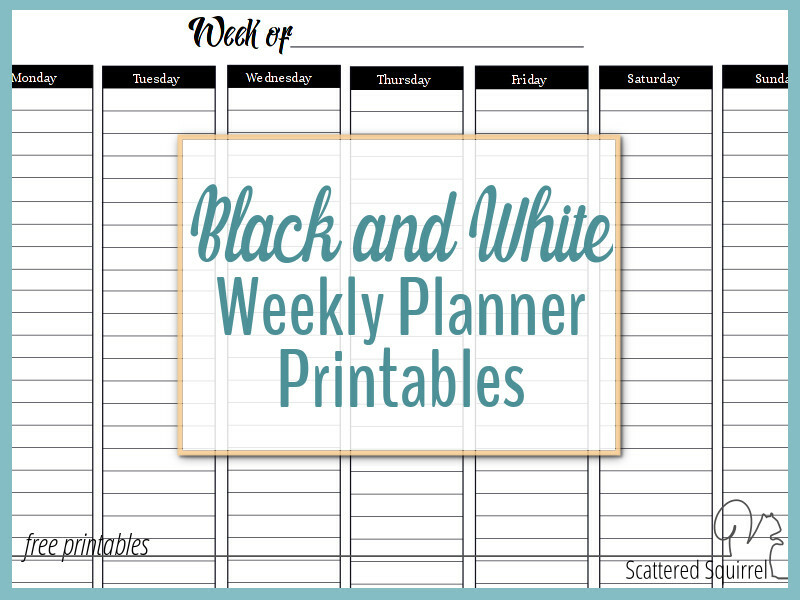 Why Black and White Planner Printables? People like the clean, monochrome look. They use less ink. This depends on your printer and the cartridges you use, but black ink is usually cheaper than colour. Make sure to check your printer settings to see if you have an only use black ink option. For those with monochrome printers, black and white versions print more clear than the colour versions do in grey scale. Washi and stickers are easier to use on black and white because you don’t have another colour to consider. If you’re one of the people who’ve sent me a request, I want you to know that I have been listening. I’ve just been trying to figure out the best way to deliver them to you. After careful consideration, I decided to throw caution to the wind and just simply start. And that’s how this series was born. The first thing you need to know is that this series has no end date. 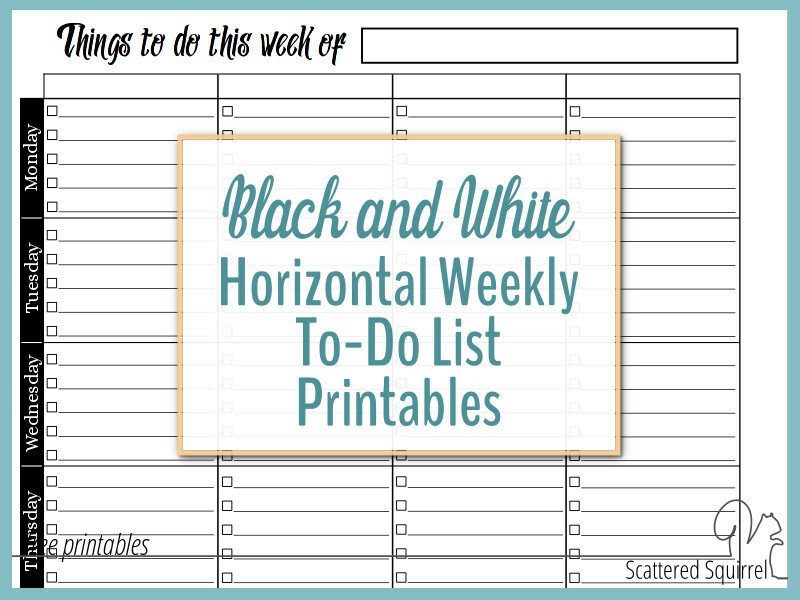 Every week I’m going to hopping on to share a few new black and white printables. I’m starting with the planner printables, because that made the most sense to me. But I may not stop there. This is where you come in. If there are printables that you would like to see have a black and white version, fill out the form below and let me know. I’ll add them to the list. This series will keep on going until the requests stop or I run out of printables to convert over. 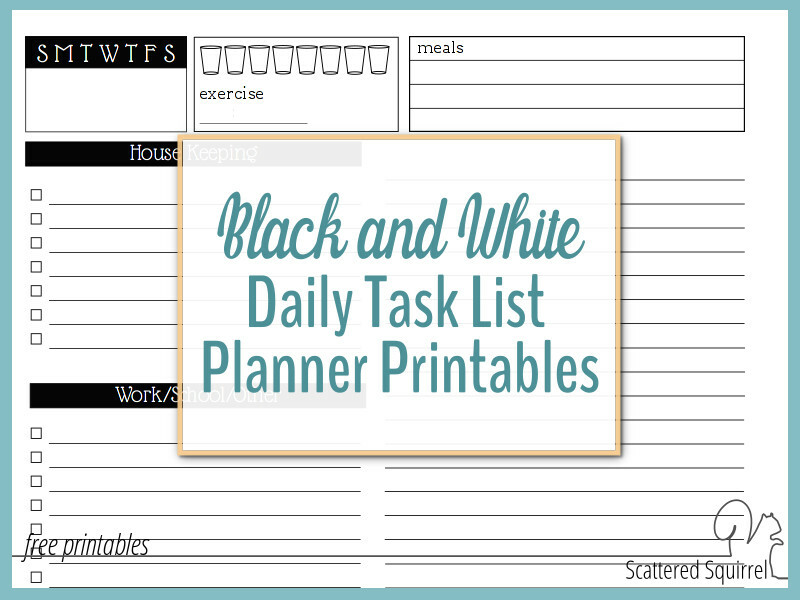 Don’t feel like you need to just pick planner printable either, feel free to ask for home management printables, move management printables, holiday planner printables, even printable accessories. If I’ve made it, you can request a black and white version. If there isn’t enough room on the form, feel free to submit it more than once. 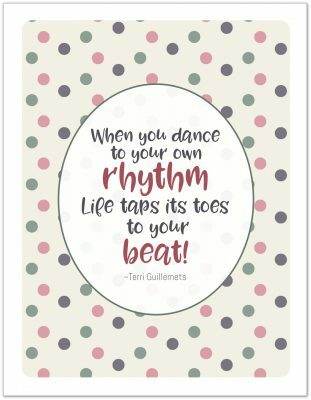 Click on an of the post title images you see below to hop over to the post to check out the printables. Undated calendars are so versatile. They can be used in so many ways and for so many different things. You’ll find both full and half-size versions in each post. 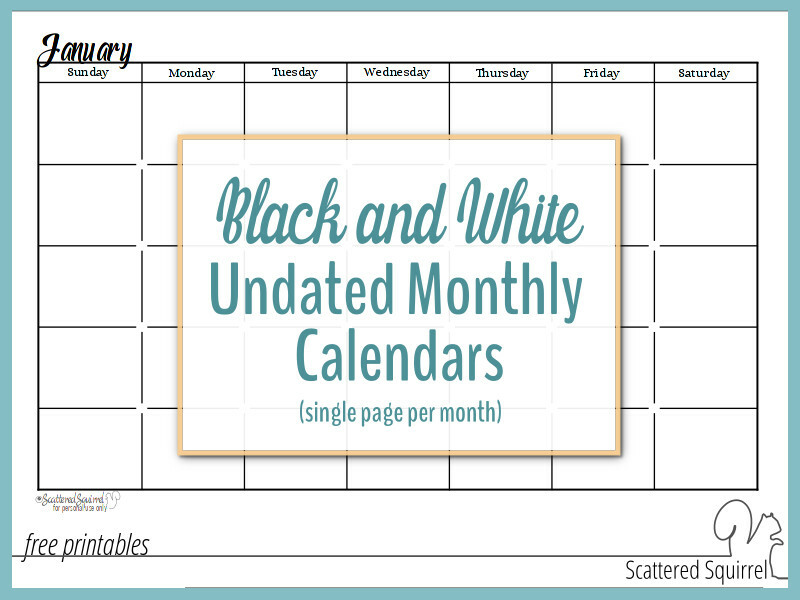 The first batch of black and white printables is up on the blog. I started with the weekly planners because it seemed like a good jumping off point. 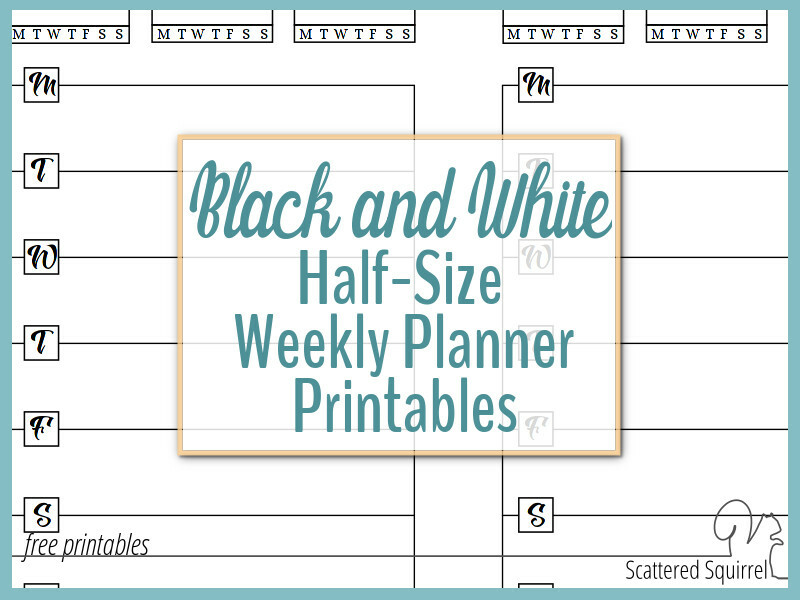 These half-size weekly planner printables turned out better than I thought they would. These to-do lists are super flexible and make it a breeze to break down your to-do list each week into manageable chunks. Daily task list planners make organizing busy day easy and can help stop feelings of overwhelm from creeping in. I hope you enjoy this series, and I do so hope you take part. I can’t wait to see what printables we end up with here.